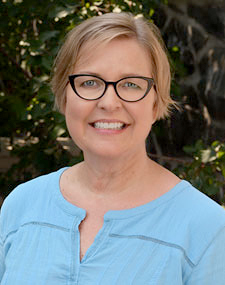 Beth has a Masters of Healthcare Administration from the University of Minnesota in Minneapolis, MN and a Bachelor of Arts Degree from the College of St. Scholastica in Duluth, MN. She has worked in a variety of health care settings including consulting, physician clinics, community hospitals, and a health care system. Areas worked in include administration, strategic planning and marketing. She has been working at CSS since 2005 teaching Introduction to U.S. Healthcare and Change Leadership. She has also worked at Kaplan University the past couple years teaching Academic Strategies for the Health Care Professional and Medical Office Accounting online. 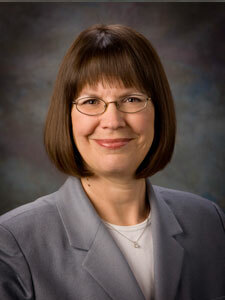 Beth is especially interested in health care systems and operations, U.S. Health Care reform, and public health. Prior to becoming a full-time HIIM faculty member, Katie was an Adjunct Instructor for the Department of HIIM and the IT Manager for FirstLight Health System based in Mora, MN. In her role as IT Manager, Katie oversaw the implementation of FirstLight's electronic health record, ancillary applications, phone system, IT Department operations and Meaningful Use achievement. 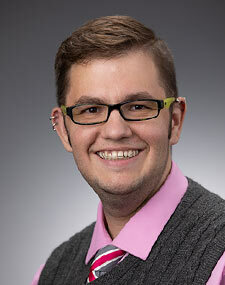 Katie also taught for Rasmussen College as an Online Adjunct Instructor from 2008 to 2010. At Rasmussen College, Katie taught Management of Health Information Services, Quality Analysis and Management and Basic ICD-9-CM Coding. Prior to joining FirstLight Health System, Ms. Kerr worked at Essentia Health - Sandstone as the Manager of Health Information for six years and as the IT Manager for one year. 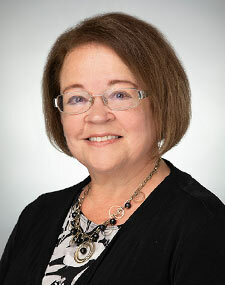 Ms. Kerr is a member of AHIMA and MHIMA. She also served as a member of the Pine Technical College Coding Specialist/Transcription Program Advisory Committee from 2004 to 2007. Ms. Kerr has a special interest in Meaningful Use, EHR implementation workflow analysis and redesign, patient privacy and security, health information exchange and telemedicine. 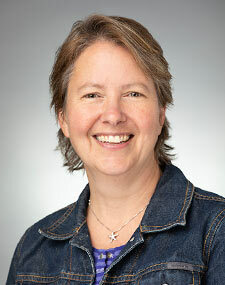 Ms. LeBlanc joined the CSS faculty in the fall of 2000, having served as Health Information Services department manager at St. Mary’s Hospital (SMHS), Superior, WI, a 42-bed critical access hospital. She was responsible for a wide range of functions, from JC to medical staff credentialing; while at SHMS, Ms. LeBlanc served as clinical site supervisor for several CSS HIM traditional and progression students. 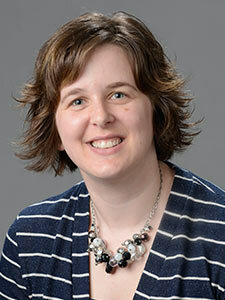 Before joining SMHS, Ms. LeBlanc held the position of family practice peer group support and cancer registrar for the Lake Superior Cancer Registry at St. Mary’s/Duluth Clinic, Duluth, MN. 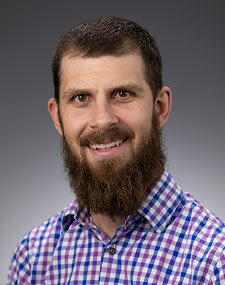 Interests include public service presentations pertaining to the personal health record, collaborative interdisciplinary curriculum and human resource studies. LeBlanc, M. & White, A. (2002). Work design and performance improvement. In K. LaTour & S. Eichenwald. (Eds. ), Health Information Management: Concepts, Principles and Practice (pp. 523-555). Chicago: AHIMA. LeBlanc, M. (2006). Work design and performance improvement. In K. LaTour & S. Eichenwald. (Eds. ), Health Information Management: Concepts, Principles and Practice, (pp. 647-679). Chicago: AHIMA. LeBlanc, M. (2010). Human resources management. In K. LaTour & S. Eichenwald. (Eds. ), Health Information Management: Concepts, Principles and Practice (pp. 717-739). Chicago: AHIMA. LeBlanc, M. & Patena, K. (2012). Human resources management. In K. LaTour, S. Eichenwald.& P. Oachs (Eds. ), Health Information Management: Concepts, Principles and Practice. (pp. 717-759). Chicago: AHIMA. LeBlanc, M. (2016). Human resources management. In P. Oachs & A. Watters (Eds. ), Health Information Management: Concepts, Principles and Practice. (pp. 721-748). Chicago: AHIMA. Ms. LeBlanc believes learning is a continuous, collaborative engagement between teacher and student. Teaching is learning’s correlating vocation that a teacher should approach with the intention of connecting the student experience to the practical professional application in memorable and meaningful ways. Her goal as a teacher is to contribute to her students’ formation by providing them with applicable skills for lives of meaningful career realization. I’ve been married to my college sweetheart. Larry, for 39 plus years; we are the proud parents of five children (4 boys and 1 girl) who are now adults and successfully living their own lives, with the oldest two in Chicago and the youngest three in Duluth. Music has infiltrated every one of our family members, from singing in the Duluth-Superior Symphony Orchestra choir to resident DJs at area night clubs, here and in Chicago. 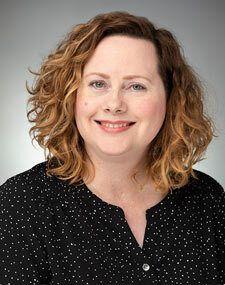 Ms. Oachs is an assistant professor in the Department of Health Informatics and Information Management. She earned both a Bachelor of Arts degree in Health Information Management and Master of Arts in Management at the College of St. Scholastica. Prior to beginning a career in education, she spent over fifteen years in the healthcare industry in the areas of clinical quality improvement, patient access, and information technology. Ms. Oachs teaches both in the classroom and online. Courses taught consist of content related to management tools and strategies, workflow and process redesign, data analytics, and US healthcare systems. Ms. Oachs is currently the undergraduate program director in the Department of Health Informatics and Information Management. Ms. Oachs is an active member of AHIMA and MHIMA and has served on the board of directors at both the regional and state levels. She was previously a commissioner on the Commission on Certification for Health Informatics and Information Management (CCHIIM), serves on the editorial board for Perspectives in HIM, and is a peer reviewer for the Commission on Accreditation for Health Informatics and Information Management education (CAHIIM). She has been a speaker at regional and state HIM association meetings as well as at AHIMA’s national educator’s conference, the Assembly on Education. She has been a co-editor for the 4th, 5th and upcoming 6th edition of the premiere HIM textbook, Health Information Management: Concepts, Principles and Practice. Ms. Oachs teaching philosophy is to bring theory and academic principles into practice successfully by teaching students to think analytically and critically in the practical setting. 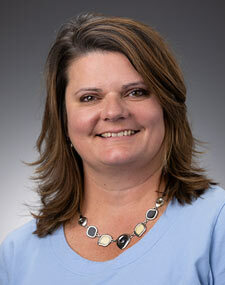 Gwen Smith, MEd, RHIA is an advisor to students in our online undergraduate Health Information Management Program. In addition to her advising duties Gwen also occasionally teaches in both our undergraduate and graduate programs. Ms. Smith received her undergraduate degree in Health Information Management from The College of St. Scholastica, Duluth, MN, in 1999. She received her Masters in Education with a concentration in Online Teaching from The College of St. Scholastica in December 2012. Her final project for her graduate degree was "The Impact Community has on Student Retention: Developing a Sense of Community Outside the Classroom Setting". Prior to becoming an advisor to online HIM students in 2004, Gwen worked as a Health Information Services and Reimbursement Supervisor, overseeing the medical records and billing staff of SMDC Home Health (now Essentia), based in Duluth, MN. Ms. Smith played a key role in preparing the department for the conversion to the Medicare prospective payment system for home health as well as leading the Quality Improvement Committee and department QI projects. Gwen also worked for a durable medical equipment supply company in Duluth, MN. In that position she was responsible for the human resource management of the billing staff as well as participating in the quality improvement projects for the organization. 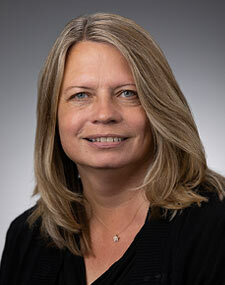 Ms. Smith is a member of the American Health Information Management Association (AHIMA) and the Wisconsin Health Information Management Association (WHIMA). Janelle started her career holding these types of jobs: HIM consulting, operations manager and release of information specialist.Upon her arrival at St. Scholastica in 2003, she became a Technology Lead, helping to implement the academic electronic health record into the Health Sciences curriculum (The ATHENS Project). After the grant-funded, ATHENS Project was complete; Janelle became a full time faculty, teaching classes in the undergraduate program, both online and face to face. At the College, she currently serves as the faculty advisor to the Student Health Information Management Association (SHIMA) and in the past has been on various College and department committees such as undergraduate admissions, faculty/student group and IRB. 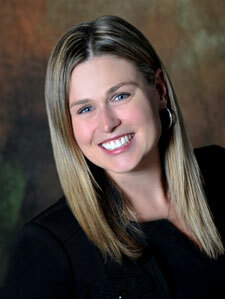 Additionally she has been a HIT Consultant for the REACH program, serving Minnesota and North Dakota. She is also a member and regularly attends AHIMA, MHIMA and NEMHIMA. As she continues to be interested in the various areas associated with the (EHR): implementation, workflow redesign, privacy & security and meaningful use, she would like to seek out more opportunities for international travel in the HIM arena. Co-author with Danika Brinda, MA, RHIA, of the chapter titled: Electronic Health Record: Applications in Practice.Health Information Management: Concepts, Principles and Practices (4th Ed) published by the American Health Information Management Association. This text was published in 2013. Co-author of the textbook entitled, Using the EHR in the Physician Office Practice with two colleagues: Shirley Eichenwald-Maki, MBA, RHIA, FAHIMA and Bonnie Patterson, Ph.D., RHIA. This text was published in 2013. 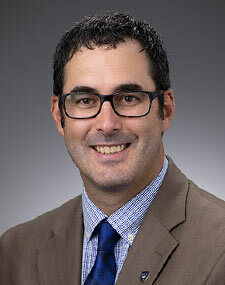 Co-authored Case Study: The ATHENS Project: Advancing Technology in Healthcare Education Now at St. Scholastica published in Nursing and Informatics for the 21stCentury: An International Look at Practice, Trends and the Future, Second Edition. Edited by Charlotte A. Weaver, RN, PHD, FHIMSS; Connie White Delaney, PHD, RN, FAAN, FACMI; Patrick Weber, RN, MA, and Robyn L. Carr, RGON. Published by the Health Information Management Systems Society, Chicago, IL. 2010. Co-recipient along with the College of St. Scholastica’s ATHENS Project Team of Health Data Management Editor’s Choice Award for Innovator of the Year for the ATHENS Project, presented at the World Health Innovation and Technology Congress (WHITv4.0) Washington, DC in 2008. While developing my teaching philosophy, I believe in emphasizing a healthy balance to life, school and work. I encourage optimism, compassion and advocacy for those in need. My personal joy is in being a mother to Tyler and Daniel and capturing life through pictures. My boys are a whirlwind of energy and knowledge and they teach me many things. The most importantly has been to stop and be in the moment! I am also excited to be a part of international travel with CSS and the HIM Department. My travels to India in January 2011 and Germany 2014 were extraordinary; visiting hospitals, villages, schools and universities. I was very fortunate to be a part of something so unique and interesting!